Explore the magical world of design and create personal prints in far less time than you ever thought possible. 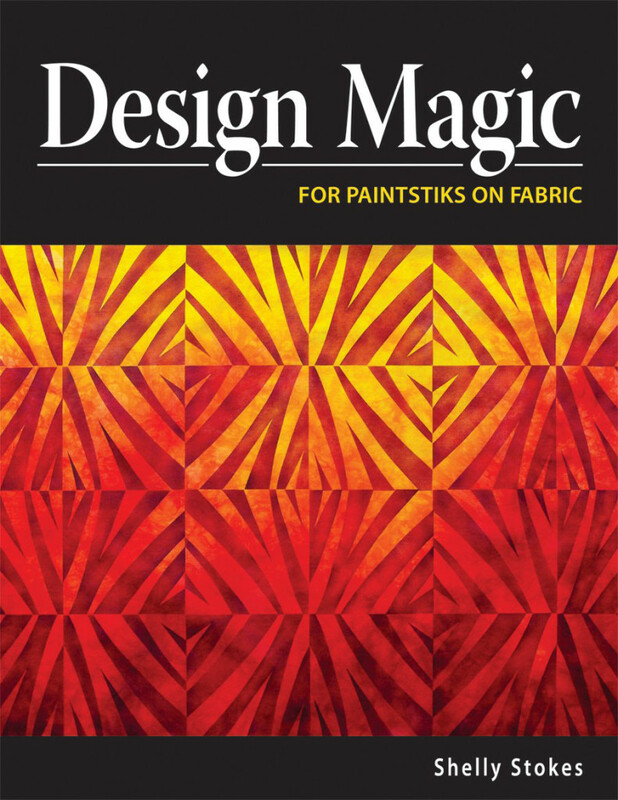 Design Magic is easier than appliqué and faster than fusing! 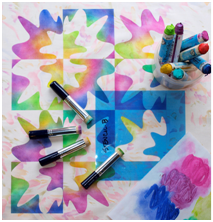 Enjoy the adventure as paintstik artist Shelly Stokes brings out your inner designer with a simple 3-step method that takes you from initial design to fabulous fabric with stencils and Shiva® Artist’s Paintstiks®. 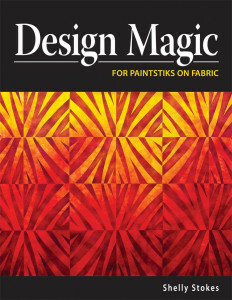 Design Magic is a really slick method for making your own designs and putting them on fabric with minimal tools and time. 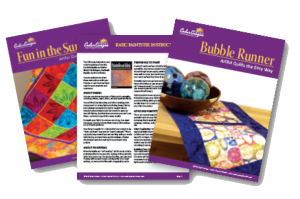 It’s faster than fusing and easier than appliqué! Here are the 3 main steps. Create a design by cutting shapes from a square of black paper. Make a set of equal and opposite stencils. 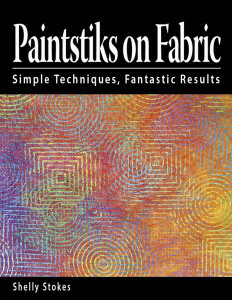 Stencil repeating images on fabric with paintstik colors and stencil brushes. 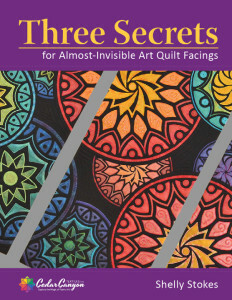 When you’re done, you’ll have a gorgeous piece of fabric to use in a quilt, a garment or in any way you choose! 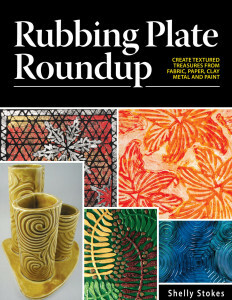 The book includes complete instructions for making your own designs and stencils (of course), but I’ve also included a set of pre-cut mylar stencils for those of you who just want to jump in and paint. Here’s a picture of some fabric I’ve painted with the Primrose stencils that are tucked inside the back cover of each book. Have fun!